I finished that quilt a few days ago, but I couldn't show you it before. I was waiting for a good weather to do some photos. 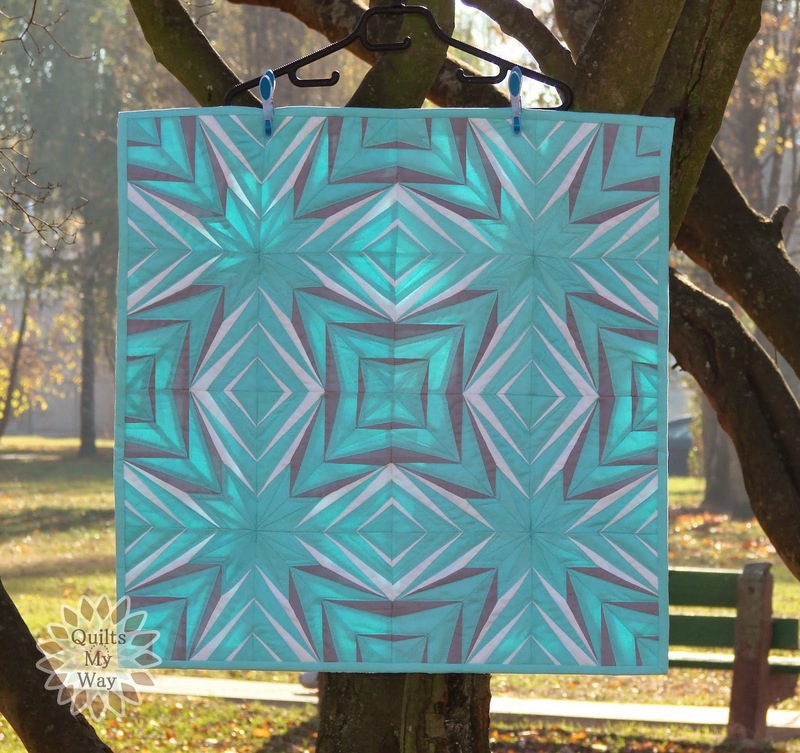 So, today is a beautiful and sunny day :) When the sun was shining on the sky I went outside to do some pics for this post and now I can share with you my new mini quilt. 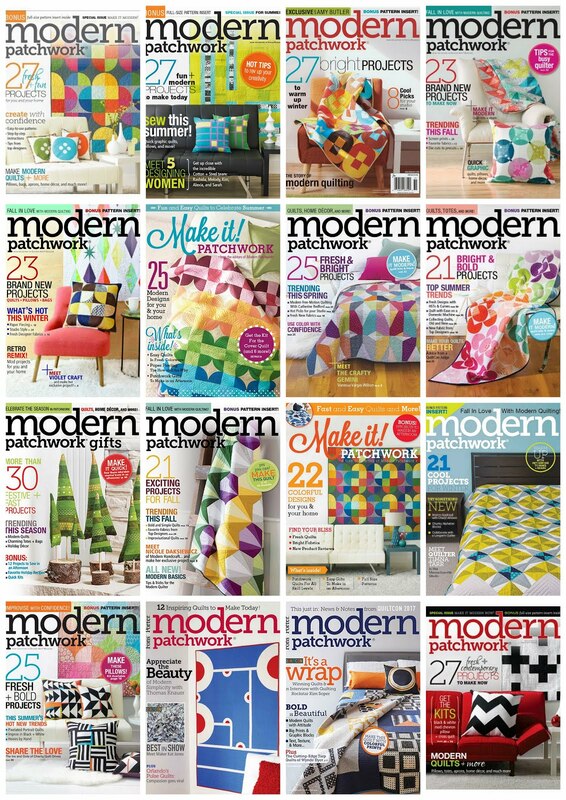 I was writing about that quilt some time ago (here). I hope that you remember. I started to work on this quilt on Summer. This time, most of the time I spent on sewing the front. That quilt is small, but it has 448 pieces of fabrics. Sewing was very laborious, because it is a PP pattern. Skończyłam ten quilt kilka dni temu,ale nie mogłam go wcześniej pokazać. Bardzo zależało mi na udanych zdjęciach i musiałam trochę poczekać na ładniejszą pogodę. Dzisiaj mamy piękny i słoneczny dzień. Kiedy słońce zaświeciło na niebie wyszłam na zewnątrz, aby zrobić kilka fotek. Teraz mogę się z Wami podzielić moim nowym mini quiltem. Pracę nad quiltem zaczęłam w wakacje. Tym razem najwięcej czasu zajęło mi szycie przodu. Mój quilt jest mały,ale składa się aż 448 części. Uszycie go było dość pracochłonne tym bardziej, że jest to wzór PP. 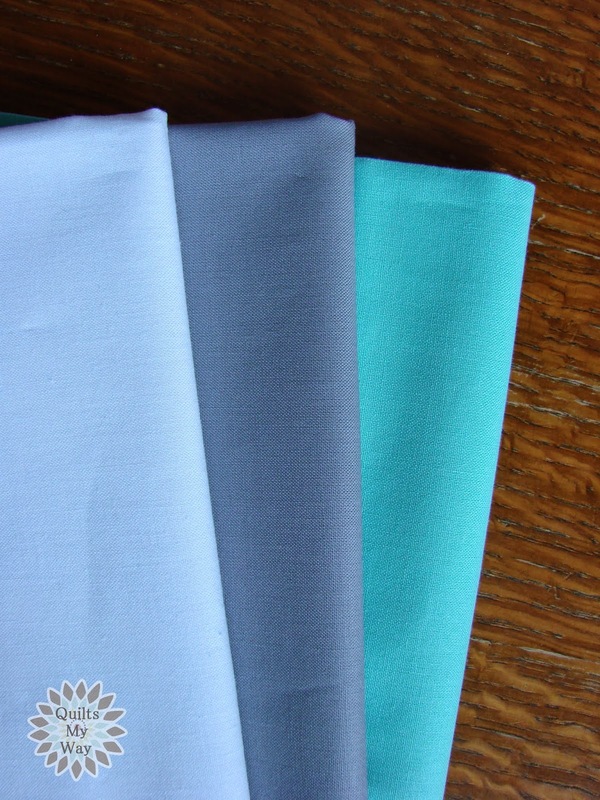 I choose for that quilt three colors of Kona Solids. I decided to use fresh and light colors: White, Azure and Medium Grey. Do uszycia quiltu wybrałam trzy tkaniny jednolite Kona Cotton. Zdecydowałam się użyć świeżych i jasnych barw: White, Azure i Medium Grey. Here is the photo of the front part (before quilting) . Zdjęcie przodu zrobione jeszcze przed pikowaniem. 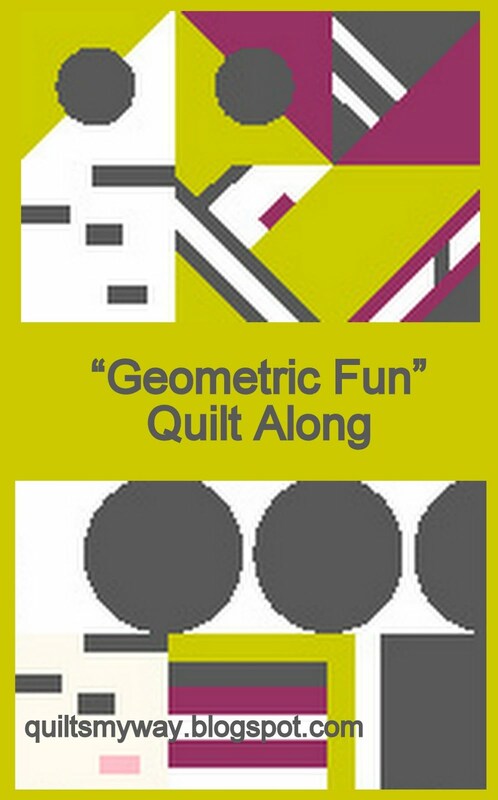 Quilting is quite unusual. I quilted that quilt like never before. Tym razem przepikowałam quilt inaczej niż kiedykolwiek. 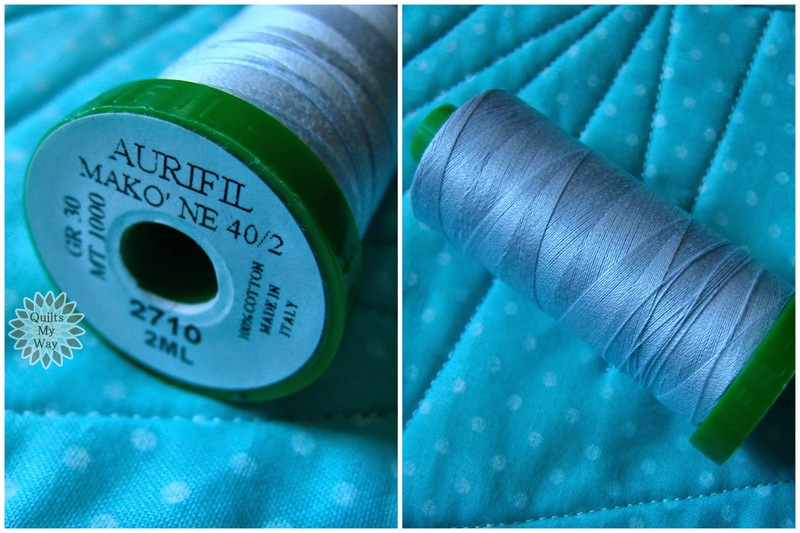 I used here one color of Aurifil thread. Do pikowania użyłam jednego koloru nici firmy Aurifil. I decided to share the result of my work on the Blogger's Quilt Festival. Visit Amy's Creative Side and be inspired. Thank You Amy for offering us so much inspiration in just one place. Efektem swojej pracy zdecydowałam się podzielić na Blogger's Quilt Festival. Zachęcam Was do odwiedzenia bloga Amy. Znajdziecie tam wiele inspirujących quiltów. Finished quilt measures: 27" x 27"
Wymiary gotowego quiltu: 68,5cm x 68,5cm. Aby nominować mój quilt do nagrody trzeba wejść tutaj. Z góry dziękuję za wszystkie oddane głosy. G E N I A L N Y !!!!! Piękne kolory, świeże i delikatne! I ten wzorek! Jak magiczny kalejdoskop - tylko w kwadratach. Oh Gosia, that is stunning. The colors are just incredible and I LOVE the way you quilted it. It was well worth all of the time you have put into it. Gosiu! 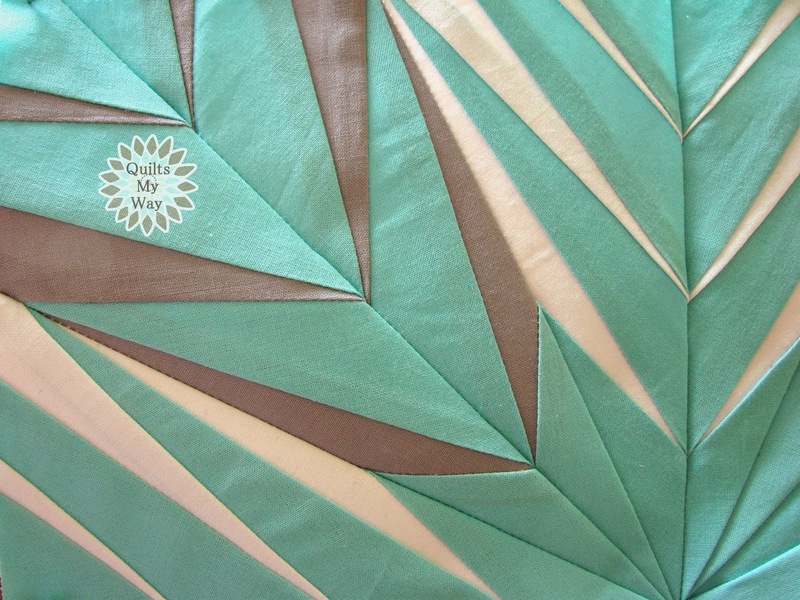 quilt jest perfekcyjny, precyzyjny i zachwycający! jestem pod ogromnym wrażeniem! cudo! Zdecydowanie się w nim zakochałam! Idealny: geometryczny, stonowany i jeszcze PP :) Super! Na pewno na niego zagłosuję! Trzyma kciuki i powodzenia. Love this quilt and the colors are so perfect. Love the colors your chose and the pattern - what a stunner! Przepiękny! Jak widok w kalejdoskopie!!! This quilt is wonderful. I love it. Great job! Love it!!! that is a tedious pattern and I really like your color choices...Kona is wonderful to work with. I made a queen size quilt years ago with that same method, it not quite the same pattern, it was called Hosanna. good luck! Jeju !!! Piękny !!! I ta kolorystyka i sam wzór ... obłędne !!! Jak dla mnie idealny pod kazdym wzgledem! I love this quilt!!! Is the pattern for sale somewhwere? Really amazing and beautiful the effect is stunning! Great work! Congratulations on your beautiful design and finished quilt! It is breathtaking! Beautiful quilt. You got my vote! Stunning!! And you did an amazing job matching those seams and points! 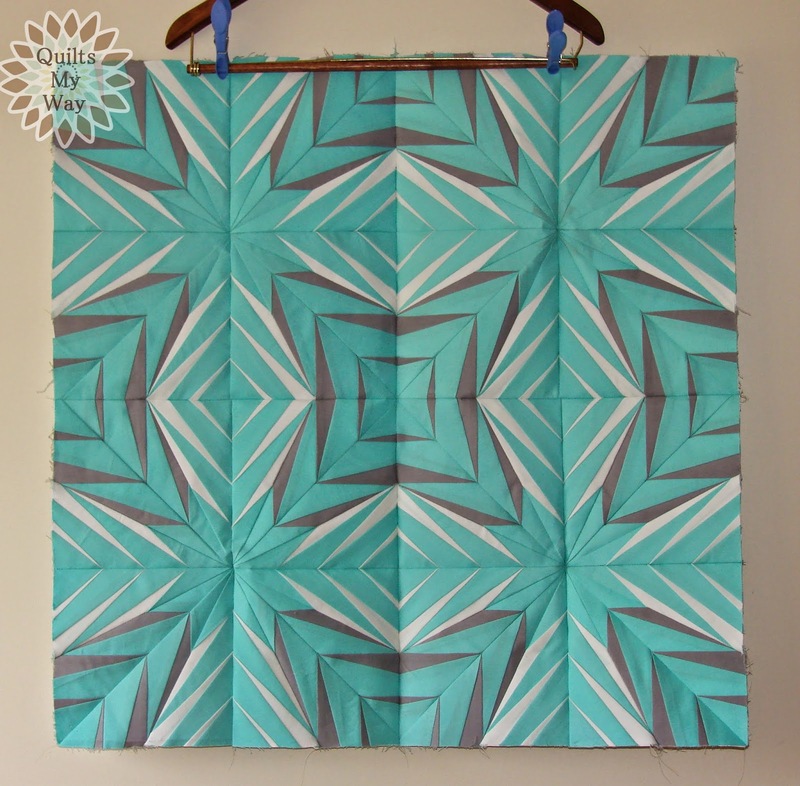 Congratuations on your Blogger Quilt Festival Win! 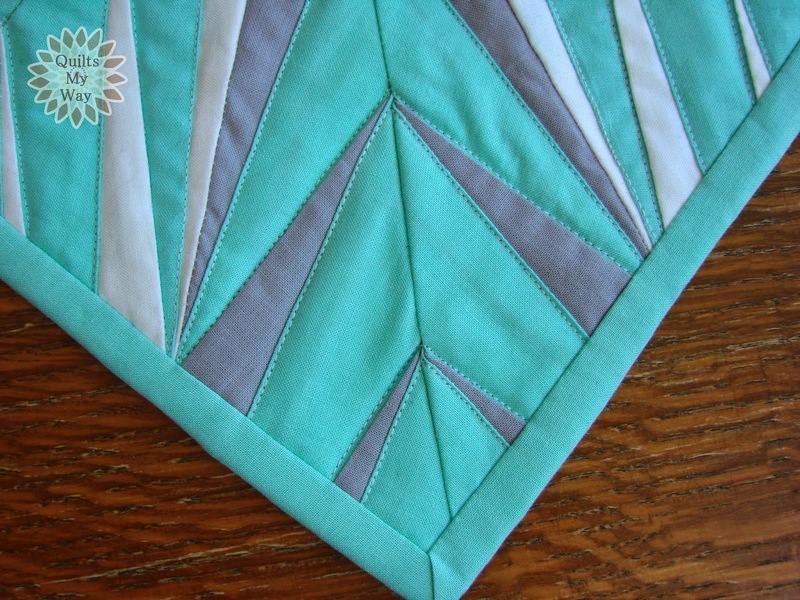 Your paper piecing is lovely, and I really like how you quilted it. Making all those points come together on such a small quilt is amazing! Congratulations on your win! Your quilt is so lovely. What an amazing quilt! You are a very talented quilter. Thanks for sharing your creation with us. At first, I thought the white was a light, light shade of mauve. I really like the crispness of the white. Great job!